Elizabeth is a graduate of The Ohio State University with a degree in Sociology and minors in Economics and Public Policy. She currently lives and works in Columbus. 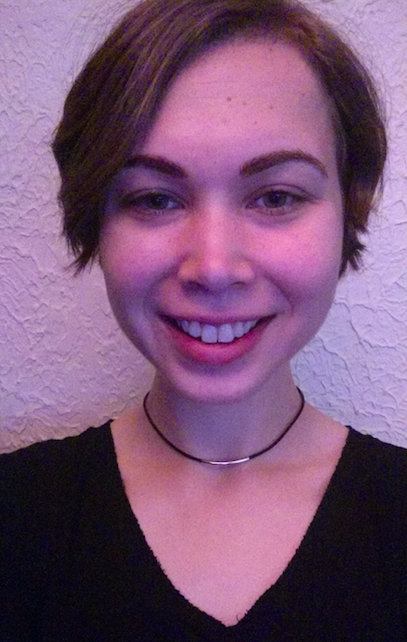 In her spare time, she can be found drinking tea, frequenting thrift stores, and enjoying the outdoors. I never thought I’d have an eating disorder. Who does? But it happened to me. It started in high school—slowly, inconspicuously, even innocently. Then it hit all at once during my freshman year of college. It’s hard to describe what it’s like to have an eating disorder, but it’s kind of like being trapped in a house where everything is made of jagged rock—your bed, your floor, your window, all of it. There’s nowhere to feel at ease. It’s hard to see outside and remember the rest of the world. Before long, your body starts deteriorating. I would be lying if I said I’m not self-conscious about this. It’s hard to talk about. But the truth is, I had a serious illness that wasn’t my fault. Thankfully, I also had time and space to regain my footing. My medical leave defined my college years and helped me make it to graduation. 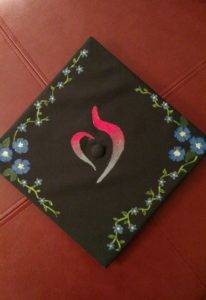 Pictured here is my cap decorated with the national eating disorder recovery symbol. After my freshman year of college, I took a one-year medical leave to focus on recovery. During this time, I completed a 10-week treatment program at a fantastic center in Columbus. Three or four times per week, I made the 150-mile round trip between Columbus and my parents’ home in Wooster. At first I didn’t work at all. After I finished my program, I started again—first 10 hours per week, then 25. But my primary job was learning to nourish myself and figuring out my way forward. That year gave me time to reflect and make several decisions. Most notably, I decided to transfer to OSU to be closer to my family and support system. I’m proud to be a Buckeye and I’m grateful I was admitted so smoothly after my leave. Unfortunately, having an interruption from school or work is sometimes seen as a vulnerability. At the very least, it raises questions. I’ve tried to avoid disclosing my gap year and transfer student status for my privacy, but it’s hard to avoid altogether. Even simple things like submitting transcripts for job or fellowship applications, or being asked questions about college experiences, sometimes make me feel vulnerable. Time and again, I’ve had to dance around the fact that I took time off for a stigmatized illness. What I know, however, is that my medical leave is not a vulnerability. Nearly five years later, all I can see is what I gained. I regained my mental and physical health—my ability to be active, productive, and present. 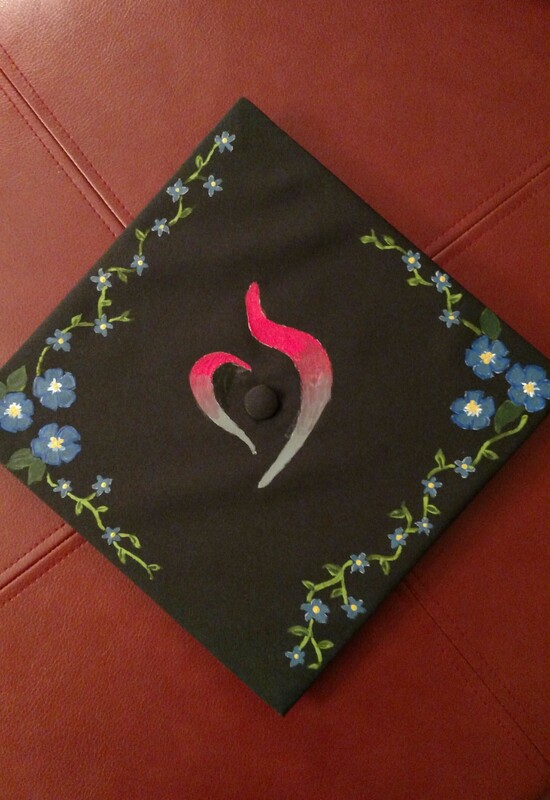 I gained a college degree that could have been out of reach if my health continued to worsen. I gained relationships that have strengthened me to this day. And I gained wisdom. If my leave taught me one thing, it’s that it’s impossible to divorce a person’s health from their potential in the workplace. Investing in work and investing in health are not competing ends in a zero-sum game and should not be treated as such. Workers who need to invest in their health deserve compassion and real workplace supports, like paid leave. Letting workers care for themselves is both humane and smart.